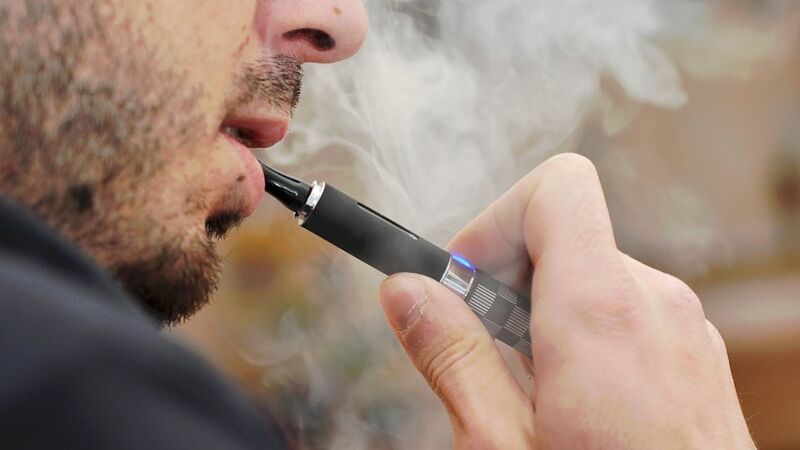 More than 4 million Americans have tried "vaping." intro: The electronic cigarette was invented in the 1960s, but it didn't really take off until a decade ago. Currently, there are more than 250 brands of "e-cigarettes" available in such flavors as watermelon, pink bubble gum and Java, and in more colors than the iPhone 5C. The Tobacco Vapor Electronic Cigarette Association estimates about 4 million Americans now use battery powered cigarettes. They project sales of the devices to cross the 1 billion mark by the end of this year. Here, a look at the e-smoke trend, the good, the bad and the unknown. category: E-Cigarettes Explained title: How much do they cost? url: text: Starter kits usually run between $30 and $100. The estimated cost of replacement cartridges is about $600, compared with the more than $1,000 a year it costs to feed a pack-a-day tobacco cigarette habit, according to the Tobacco Vapor Electronic Cigarette Association. Discount coupons and promotional codes are available online.